Is It Time to End Affirmative Action? Last year, Michigan became the third state to ban the use of affirmative action in the public arena. Is it time to end it across the country? A panel of experts debates in the latest in the Intelligence Squared U.S. series. 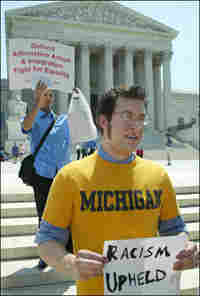 College students hold signs outside the U.S. Supreme Court following a decision in 2003 that upheld the limited use of race in university admissions in a case involving the University of Michigan. In recent years, one focus of the debate over affirmative action in the United States has been its use in education, especially race-based admissions policies at universities. 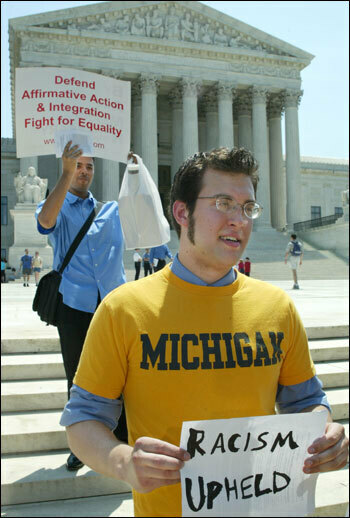 In a 2003 ruling involving the University of Michigan, the U.S. Supreme Court upheld a limited consideration of race in admissions to allow colleges to create a diverse student body. However, voters in Michigan have since passed an amendment to the state constitution that bans the use of affirmative action in the public arena. Two other states, California and Washington, had already taken similar steps. So is it time to get rid of affirmative action? A panel of six experts faced off on that topic Nov. 13, in an Oxford-style debate as part of the Intelligence Squared U.S. series. The program is modeled after one that started in London in 2002. Three experts argued in favor of the formal proposition, "It's Time to End Affirmative Action," and three argued against. 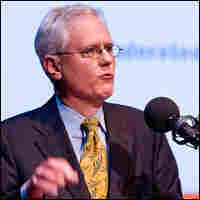 The debate took place at the Asia Society and Museum in New York City. It was moderated by Robert Siegel, senior host of National Public Radio's All Things Considered and the radio host of the Intelligence Squared series. In a vote before the debate, 44 percent of audience members opposed the motion, "It's Time to End Affirmative Action," and 34 percent supported it; 22 percent were undecided. After the debate, 55 percent were against it, 39 percent supported it and 6 percent were still undecided. John McWhorter, senior fellow at the Manhattan Institute, says: "It's often said that diversity has been proven to make for a better-quality education. Has it? How? ... The people who try to prove it with studies, and none of them are conservatives, find again and again that, as I think we all knew, diversity does not really have anything to do with giving you a more beneficial experience in terms of how much knowledge you have in your head or how much moral wisdom you have in your head after you come from college. 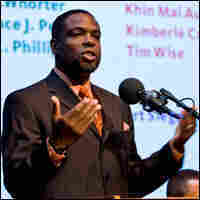 "There was a poll of University of Michigan minority law school grads from 1970 to 1996. To them, being called on as a diverse person in class was at the very bottom of what they valued most about their experience, as was the diversity." 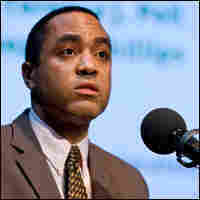 Excerpts of John McWhorter's argument. "It's bad enough that African-Americans are so substantially underrepresented in science. It's completely inexcusable that racial preferences end up frustrating and discouraging the gifted black high school seniors who say they want to study science." Excerpts of Terence Pell's argument. Joseph Phillips, an actor and syndicated columnist, says: "Affirmative action is no longer about nondiscrimination; it's about racial preferences. ... The question is: Are racial preferences an effective means to combat racism? And the answer is simply no. ... What we do know is that racial preferences tend to enhance and firm up negative stereotypes, particularly as it pertains to black intellectual capacity and academic capabilities. ... There are thousands ... who cannot enter our nation's college campuses boldly and confidently. They enter, again, dripping with the stigma of racial preferences. And I'm here to tell you tonight, that that is not good for America." Excerpts of Joseph Phillips' argument. 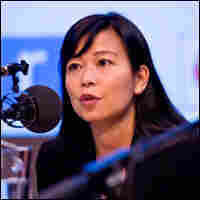 Khin Mai Aung, staff attorney at the Asian American Legal Defense and Education Fund, says: "When the University of Michigan's affirmative action programs were challenged before the United States Supreme Court, 65 leading American businesses and their CEOs filed a brief in support of affirmative action. ... They realized that the leaders of tomorrow needed exposure to diverse people, ideas and perspectives. These companies found that individuals educated in a diverse setting were more likely to succeed, and they had very concrete examples of these benefits. ... People who were educated in a diverse setting were more likely to facilitate creative problem-solving approaches... They are better able to work with diverse business partners, clients and employees." Excerpts of Khin Mai Aung's argument. "What if we really looked at the different lanes that America's runners have to run in? If we looked at that, we see that some of those lanes are nicely paved, even surfaces, beautifully well-lit with freshly painted lines. Other Americans, though, have to navigate lanes that are riddled with obstacles and debris... Affirmative action is quite simply a commitment to remove the effects of these obstacles that impede the race for some, using a wide variety of tactics and strategies." 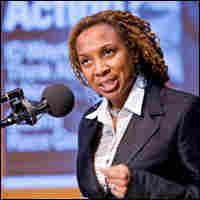 Excerpts of Kimberle Crenshaw's argument. 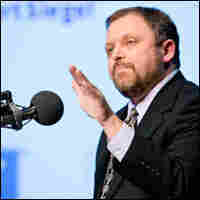 Tim Wise, writer and educator, says: "...Ending affirmative action would only further cement the systemic advantages for whites that have been in place for hundreds of years; it would be tantamount to favoring those three laps ahead in a five-lap race, even though those ... ahead gained their head start as the result of an unfair process. But even worse, to end affirmative action would ignore the ongoing reality — not past, but ongoing reality — of white racial preference, not only in education, but also in employment. ... Those who would end affirmative action ignore the study ... which found that job applicants with white-sounding names have a 50 percent greater chance of getting a callback for an interview than those with black-sounding names, even when qualifications are indistinguishable." Excerpts of Tim Wise's argument.